Free Spin Gambles – Fair Game or Foul Play? As anyone who watches the SlotMad team streaming will know the gamble feature on the MegaWays games is extremely contentious. Especially after you have used the buy-feature option. The issue for me is not that you can gamble your free spins. We’re all gambling anyway. The issue is with the fact that you can buy into the free rounds on these games. Players know that the default free spins aren’t going to generate a return and so there’s almost no option but to gamble. Gambling results in a zero free spin option so often (OK, I assume it’s set at 50/50) that the buy-in becomes useless. We’ve had losing runs of 9 or 10 gambles on Extra Chilli and Vikings Unleashed. The release of the MegaWays game from Red Tiger illustrated the issue again for me. 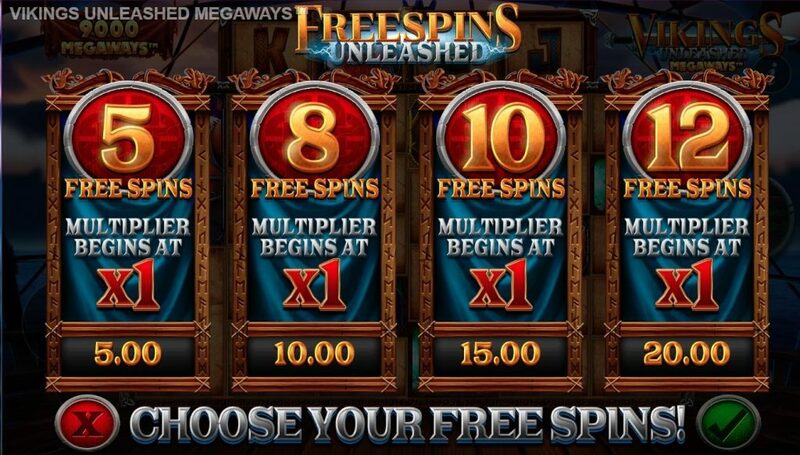 They allow a gamble on the free-spins (albeit without a buy-in-feature). 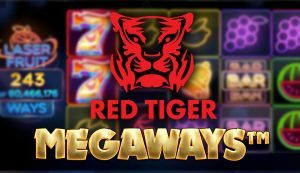 What Red Tiger have done is to include a ‘consolation prize’ of sorts meaning that the player can never leave with nothing. That’s just the fair thing to do. The MegaWays team have done some amazing things but this lets them down. I assume it’s massively lucrative for the provider and the operator, but it can only be a matter of time before the regulators look at this and cry foul. Time for the provider to address this issue before their hand is forced. Well. Grape. This video really says it all, doesn’t it. Now, if you’re a novice or a seasoned gambler, free spin gambles are always nerve wracking. Me, I’m a novice so being introduced to the free spin buy ins and free spins in general was really interesting. The excitement, the tension, the stress, anxiety, my stomach was in knots! And still is, even though I’ve seen this a hundred times now. Admittedly, initially, the concept was unfathomable to me. I understand gaming, the gambling, the risk taking, but to know you’re going into something and potentially coming out with nothing… took me a while to get my head round it. Let us take my now favourite buy-in game, Vikings Unleashed. I remember the first time I saw this played, (and admittedly, this still happens) I couldn’t watch! Why! Why would you subject yourself to this! Its like playing chicken with a double- decker bus on the Maltese roads! Are you going to bomb out and be left with nothing? Are you going to gamble and make it to 27? Only the gaming algorithm Gods know! Bomb out and you are literally left with nothing. If you’re buying- in, you do get left with a bit of a bitter taste after all that excitement and money spent. Obviously if you don’t loose and do get in, you’re left elated, excited and on cloud nine. And yes, before all you old hats roll your eyes at me, I know this is the nature of gaming. It’s a gamble that you take. Its in the name. But should it be to this degree? Should you be left with nothing? Whether you’re buying- in or you’ve triggered the free spin round, your loyalty to the game should be rewarded in some fashion, right? With rules and regulations getting so tight, will this be allowed to continue? Or, as Andy said, will their hands be forced to compensate with something. I guess only time will tell. What’s your take on the Free spin gambles? Are you a lover of it like Grape or do you think there should be a change? Give us a follow on our Twitch stream channel and let us know what you think! Join us on stream to play games like this daily!